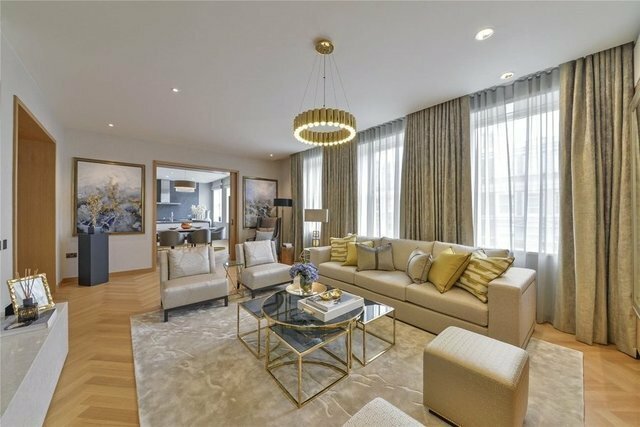 Exceptional two bedroom apartment on the third floor of this stunning development on De Vere Gardens. This exceptional second floor lateral apartment is set within a beautifully crafted luxury development designed by award-winning architects David Chipperfield. This unit is the last one of this type in the building and has 3.26 meter ceilings in the principles living spaces. It offers an abundance of light and space. Under-floor heating and comfort cooling is standard across all flats. Residents benefit from a 24-hour dedicated concierge, valet parking, health spa, 25m indoor swimming pool, a private health and fitness centre, sauna and steam room, in addition to private treatment rooms. The development is complete and ready for occupation with show apartments available to view. Please note images are for indicative purpose only.